"BEST ICE CREAM SHOPS IN AMERICA"
When I started my company, I didn’t plan to be “artisanal,” it just turned out that way. When I started my company in 2005, I didn’t plan to be “artisanal.” At the time, this wasn’t an ubiquitous term, nor a clearly defined movement. I just wanted to make the ice cream I couldn’t find at the store. I wanted to use real ingredients, not industrial flavorings. I wanted a product that both had personality and was made as honestly as possible. I wanted to create flavors that are unexpected without being gimmicky or sensational. And I also wanted to elevate the classics: to make the best Chocolate, the richest Vanilla, the realest Blueberry. A decade later we still try to make everything from the bottom up, by hand, with fresh ingredients. When we make our Madagascar Vanilla Bean ice cream, we hand cut the individual vanilla pods and scrape the beans out so we can use real vanilla specks. We bake our ice cream inclusions from scratch in our kitchen. We squeeze every lemon fresh, we deseed all our blueberries by hand, we chop every clump of fragrant herbs. All of this is done right here in-house. If we’re making banana ice cream – you can bet there will be a pile of browned peels to show for it! MDIIC never rests on its laurels – we are constantly thinking about our recipes, and when necessary we’re revising and improving all aspects of the process. We are always looking for sustainable local suppliers we can work with to make sure that our ice cream and sorbets are the best they can be. Because of this, I can easily say that our product is even better than it was when I started 10 years ago, and will continue to improve. Yes, it takes more time, and often costs us more. There is a reason that other ice creams decide to use pre-made flavor mixes. But for me, that was never the point of opening an ice cream shop in the first place. The difference in taste simply cannot be ignored. 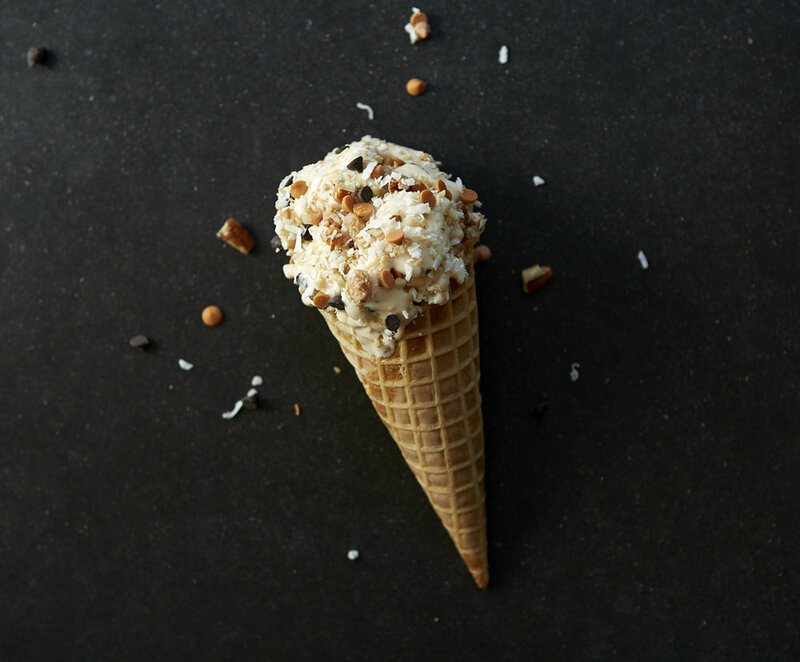 Some people may call it artisanal, but I think it’s pretty simple: I want to make the ice cream that I want to eat!